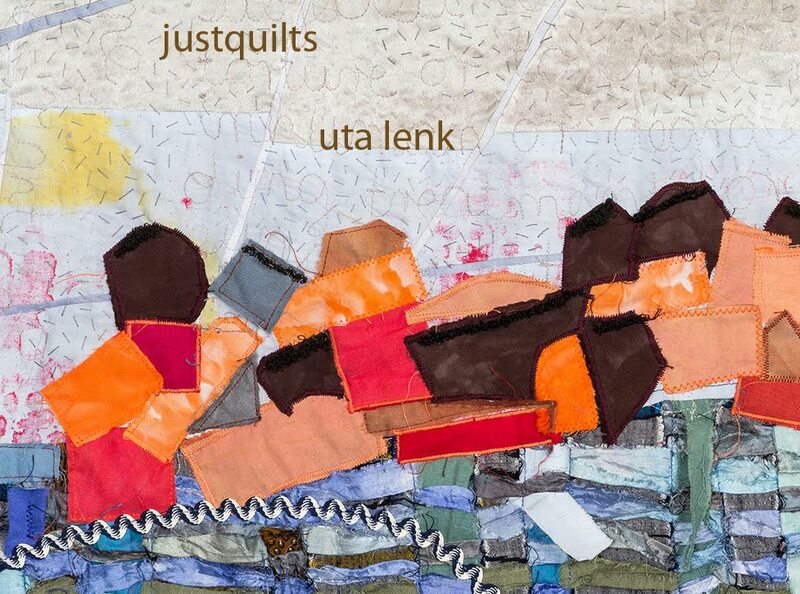 Uta Lenk - justquilts: What's up in the beginning of January? Sometime around Christmas a magazine that comes with a weekle newspaper in Germany ran a test „How old are you really?“ It tests you up-to-date-ness, and how that ages or juvenates you in comparison to your biological age. Our entire family took it. (And we all strongly believe in the correctness of results!) Every one of us is very satisfied with their results! My husband (in his early Fifties) came in at 47 years old, my ten-year-old son scored an impressive 25 years old, and I managed to drop down to 30 from my real 50. So everyone is happy. 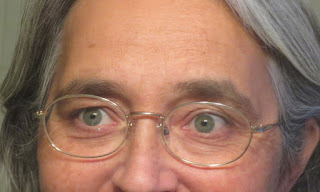 With this verdict I happily concluded that I could hold out even longer and still not go for bifocal lenses, although I am having problems with seeing up close etc, and I have been shifting my glasses to the tip of my nose for several years now. It was getting to the point where the balance was getting precarious. I do have reading glasses, and sometimes I even know where they are. And I have a pair for driving in the car, which is absolutely useless for looking at anything closer than four feet away, and seems to be not the correct strength anymore. But what I did last week turned out to be a really brilliant move – I went through my old glasses, most of which I kept for whatever reason, and looked at them to find out which could perhaps be refitted with new lenses, to save on buying a new frame, should I decide to get something done. And I tried them on. And lo and behold – one pair, which I must have worn just about when I was around thirty, turned out to be much better than the one I had been fidgeting with recently. They don’t really look that much different than the other ones – except for the rim. Yet my son thinks I look older with these than before – but what do I care! Saved us a couple of hundred euros, I can see better, and that magic mark of ‘30’ somehow seems even stronger! Then I severely hurt my toe while taking the inventory of my fabrics, when I managed to get the toe nail caught with some edge of one of the plastic boxes the fabrics are stored in. Blood, ooze, pain – what have you. Difficulties of getting into my shoes, and certainly no intensive sports for a while. Glad I’d finished my hiking adventures in NZ before I did this! 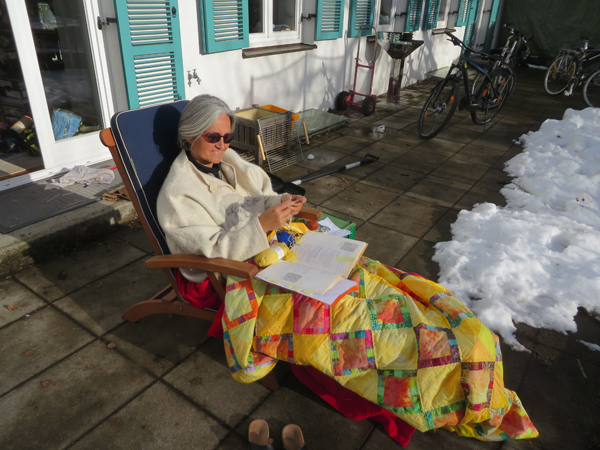 So when we had a really nice and sunny day today, and I could not go for a walk, I pulled out the deck chair from winter storage and took myself outside onto the terrace. Trying out various knitting patterns is easy enough to do out there, for a project that is hovering on my mind just now. But I am sewing, too. Working on a piece for one of the ‘International Threads’ challenges and uses embroidered squares from the Afghanistan project. But as that’s still very much in process, I won’t post anything about that yet. And I made up my mind that the two quilts that recently got rejected from SAQA shows 'My corner of the world' and 'Migration' will be re-entered for Wide Horizons. 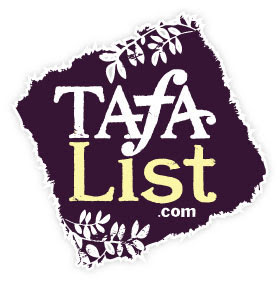 Perhaps they'll get accepted there. School holidays end tomorrow, much to the dismay of my son. When you do go for new glasses, you might want to consider varifocals instead of bifocals. Some people say they have a hard time getting used to them, but this might be because they insist on moving their eyes instead of their head! It's a little something you have to get used to. Glad you found a solution to the glasses. It costs as much over here to have new lenses as it does to have a new pair of glasses. Hope the toe recovers quickly and good luck with the Wide Horizons piece.